Learn How To Earn Money Online For Free, Some Basic Steps To Get There. It’s the question of the century or just the number one hot topic that is searched over and over again on the internet, simply learn how to earn money online. There are a lot of ways to do it, I will lay it down on you easy. You could get lost on the internet if you tried to find how to make money online. If you got a few minutes, I will give you the process and lay down some foundation steps to success, sound good?. If I took a basket and put all the ways to make money into it, I’d need a bigger basket. In simple terms, there simple terms on the very definition of how to Earn money Online for free. Build it and they will come….. When the settlers came to town back in the wild wild west, the first thing they did was claim their territory. Territory was a very big controversy back then, wars were fought over territory. You would be the man on the totem pole if you didn’t invest in a territory and fought for it. Then you had to build it in a way that could withstand weather, hold in heat so your family could stay warm through the long winter months. You wouldn’t put together a shack in five minutes and expect to live, It’s the same thing with building a website, don’t expect much if you don’t put much into it. Google doesn’t rank shabby websites and very well might through you away. Build a website like your very life depends on it, build it like you would build a skyscraper or mansion. Just like the wild wild west, I’m a firm believer of building to last a lifetime. If you put in the right foundations, your website will withstand anything and will carry you to success. Check out my page on website development. If the website is your foundation, then creating quality content is your number one defense against the storm we call the internet. Call it your voice because that is what people will read when they come to your website. Content is your brand and it is your signature when building a presence online. Content is going to be one of your main sources of traffic, your ability to build relationships with your visitors(which lead to revenue) and the creation of your brand which leads to a long term business. Build quality content and your customers will come. Check out my post on creating quality content. One of my favorite old movies is Monty Python and the Holy grail, one of the quotes in there is hilarious. Please don’t build it in the swamp, build it where the traffic is going and you can do this through several different outlets. 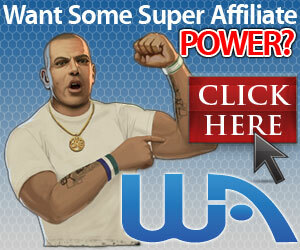 These can all be learned at Wealthy Affiliates, the number one place to get an Education Online. If you don’t know what some of those are, you can learn them from there. I’ve been working Online for over 2 years and would be happy to answer any questions you might have, simple give me a jingle on WA, requires you sign up to a free account. Remember when I said that there were several ways that you can make money online, well here are just a few ways you can. That’s only 6 of the possibilities and there are more. Build a website, it takes only 30 seconds, create quality content and traffic, the sky’s the limit. You can create a job worth owning, be your own boss and set your pace. Part time, full time, it’s your choice. Please don’t do this alone, there are so much information out there and possibilities, you could find your self sucked into scam after scam after scam. Build your castle right the first time so you can avoid those other 3 times that it fell into the swamp. You don’t have to do it alone, so why do it? I invite you to our hangout on WA, no caches, no credit cards and no free trials that weasel you out of more money. Just fill out a form and your in. Good information here. I like your comparisons of building your website like you would a ‘skyscraper or a mansion’. Your exactly right. You really need to build a quality website if you want any chance at success. Low quality websites are a waste of time and won’t generate any income. Exactly, build your castle on land not in the swamp.